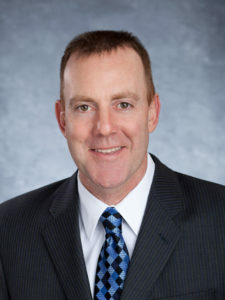 Philip McTigue graduated in 2018 with his Master’s Degree in Homeland Security from Northeastern University. A member of the Sword and Shield National Honor Society, Mr. McTigue will graduate with a 4.0 GPA. Four years before, Philip McTigue earned his Bachelor’s Degree in Homeland Security from American Military University. The idea of going back to school after a long absence may have scared some people; for Philip McTigue, though, it was a challenge that he had to finish. If you were to take a look at Philip McTigue’s resume, you would likely notice right away that the man has lived an extraordinary life. He graduated from Wayne Central High School in 1988 and decided that he wanted to serve in the U.S. Marine Corps. From 1990-1991, Mr. McTigue served in the Persian Gulf War where he learned lessons about leadership, honor, teamwork, and personal integrity that he would successfully use in his professional and personal lives. After he returned to the United States, Philip McTigue became a member of the Rochester Police Department, working in the department’s tactical unit. He also became an accomplished Field Training Officer and NY State-certified Academy and Firearms Instructor. Throughout his time as a police officer, Philip McTigue was highly decorated, receiving many honors and recognition for his service to his local community. In September 2001, Philip McTigue was recruited to a United Nations Special Operations Team where he served as a Team Leader. The team operated in Kosovo and participated in multiple large scale operations with U.S. and foreign military forces that focused on capturing wanted war criminals. In 2003, he worked as an operator for a formerly classified unit for the CIA, completing clandestine assignments in Pakistan, Iraq, Afghanistan, and Israel. He completed his time overseas working with the DEA in Afghanistan on counter-narcotic activities to eliminate funding for terrorist organizations. Today, Mr. McTigue works in the corporate world, partnering with DHS and other federal agencies on an Aerial Management System utilizing Geospatial Intelligence for emergency incident response. As you can see, Philip McTigue has enjoyed a highly successful career in multiple roles defending his country and local communities. But there was one challenge left, which is why he pursued getting a college degree and then a Master’s. Philip McTigue will use his education to open new professional doors and enhance an already very impressive resume.